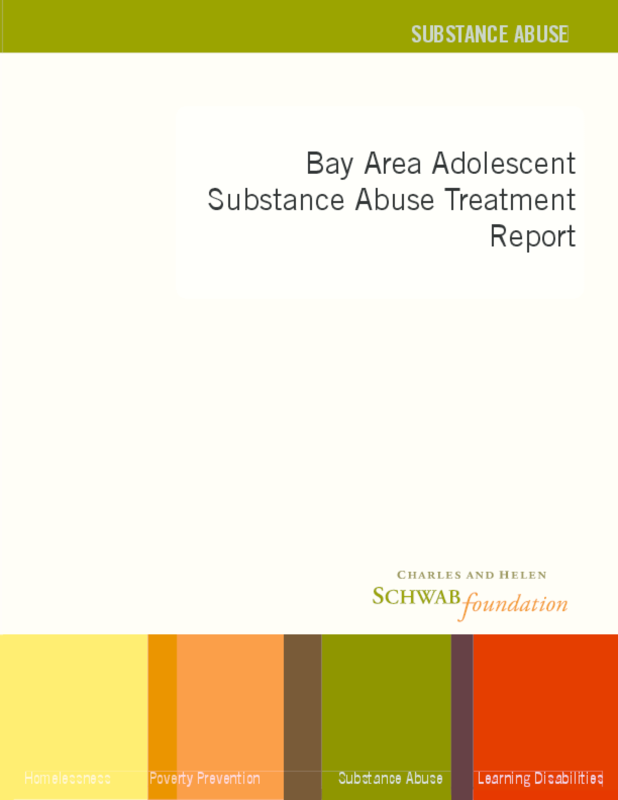 This report reflects the findings of a 2002 environmental scan of adolescent residential substance abuse treatment in the nine-county Bay Area, which includes Alameda, Contra Costa, Marin, Napa, San Francisco, San Mateo, Santa Clara, Solano and Sonoma counties. The purpose of this project was to assess current treatment capacity, identify barriers to adolescent treatment, and recommend opportunities to support existing residential programs and increase capacity.Research methods include a literature review and 25 expert interviews, including in-person interviews conducted with county alcohol and drug administrators from all nine Bay Area counties, in-person interviews with management staff of five Bay Area adolescent residential treatment providers, in-person interviews with staff from the California Department of Health Services Alcohol and Drug Program and the Department of Social Services Foster Care Branch, and phone interviews with three national youth substance abuse experts. This report was prepared in coordination with a state-wide report commissioned by the Schwab Foundation, "The Need to Invest in Adolescent Treatment: Policy Recommendations for Adolescent Treatment in California" (2004).